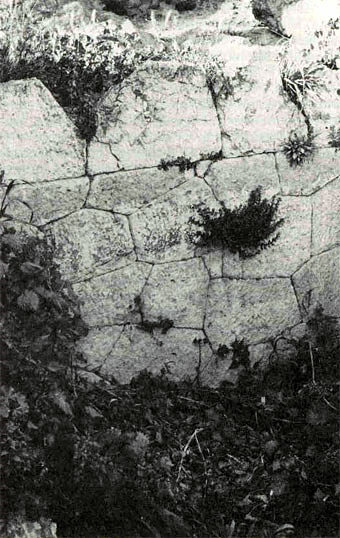 This polygonal Greek wall is on the south slope of the Acropolis. 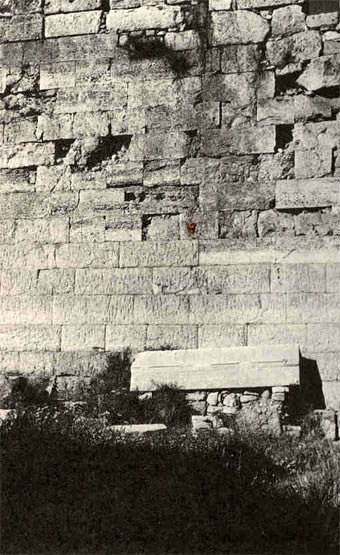 At what is believed to be a later period, more defined rectanguar blocks were used in the second photograph of the south-west wall of the sanctuary of the Telesteron at Eleuis. Mortar was not used in either case.